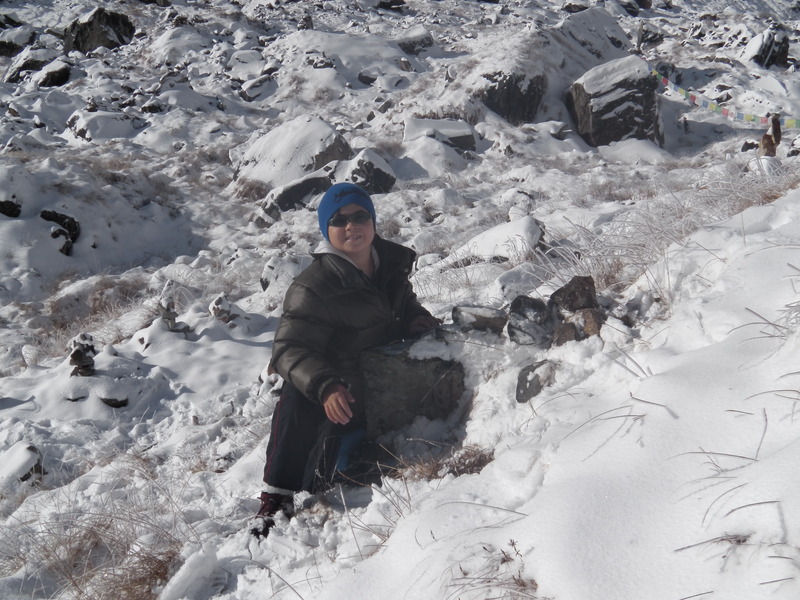 More images from Annapurna Base Camp. 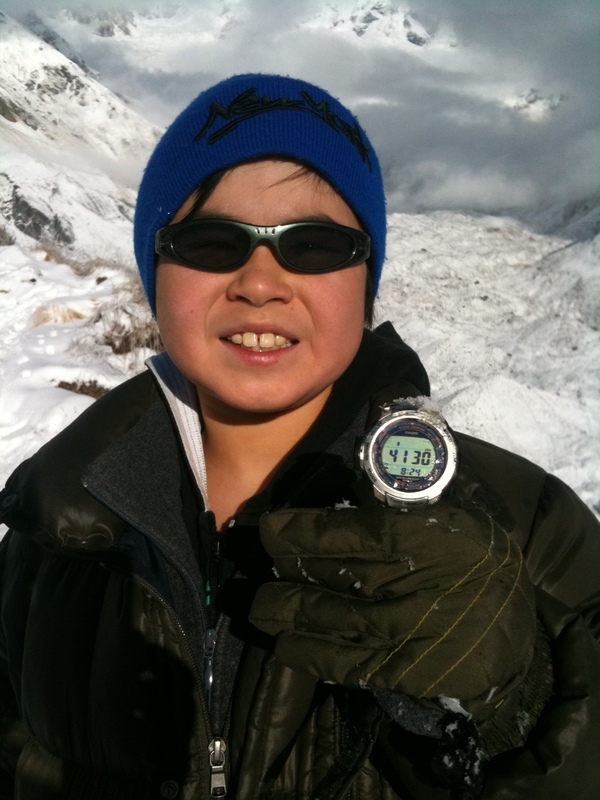 4,130 metres (13,549 feet). 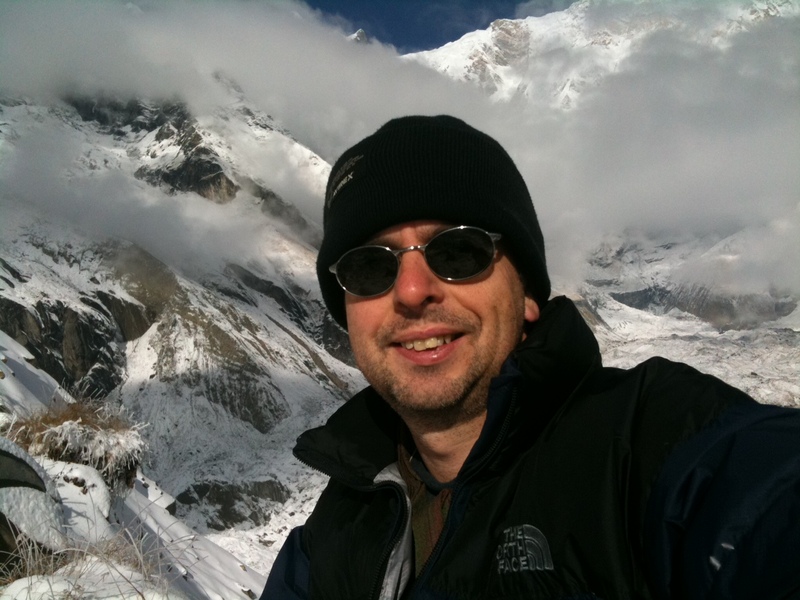 Bang on target. 8:24 in the morning. 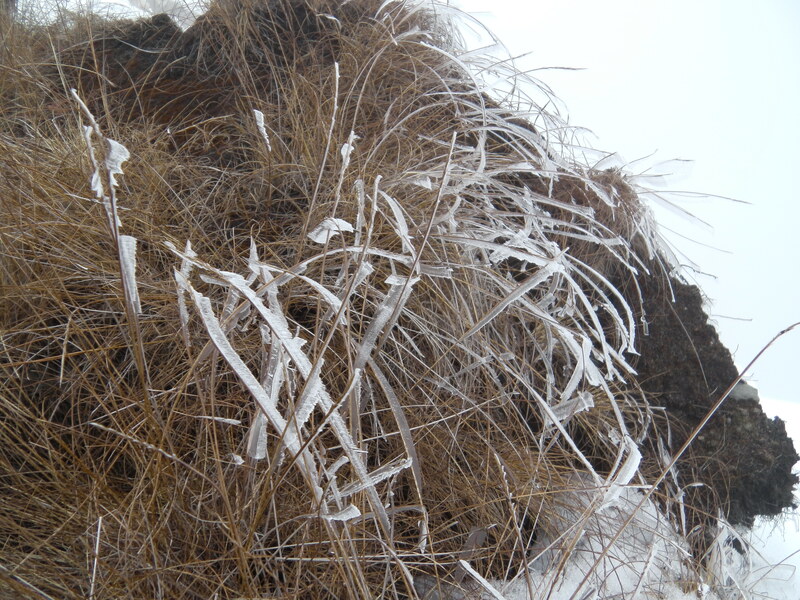 Frozen grass sculptured by the wind. 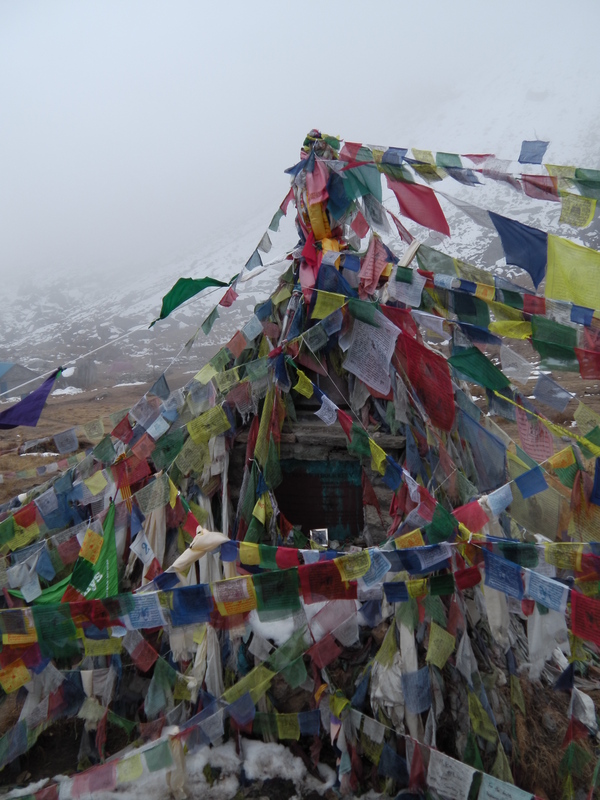 This is a memorial cairn for mountaineers who have lost their lives on the Annapurna Range. 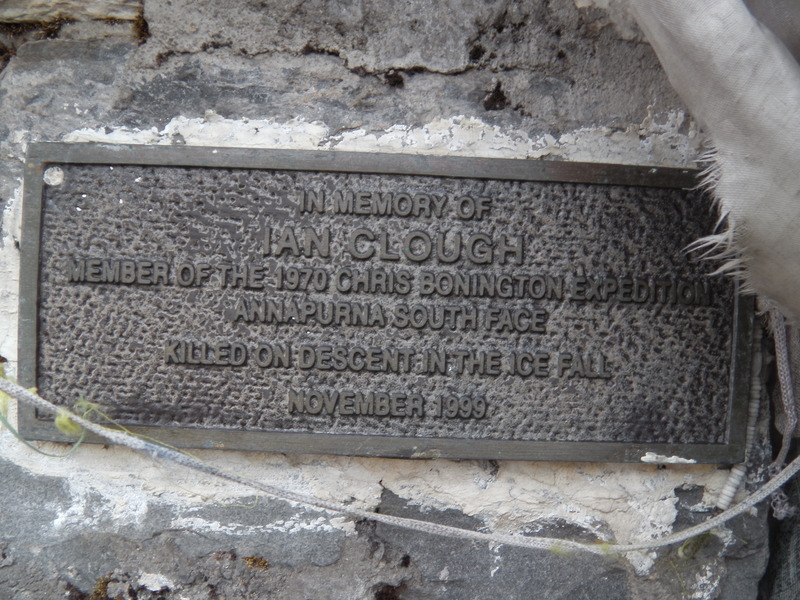 The memorial plaque for Ian Clough who lost his life on Annapurna 1 during the Chris Bonington expedition in 1970. 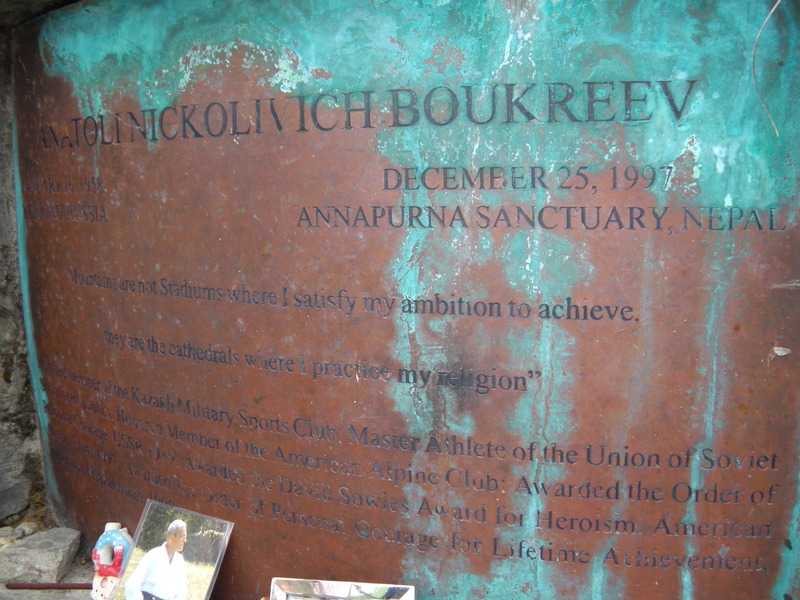 The memorial plaque for Anatoli Boukreev who died climbing Annapurna 1 on Christmas Day 1997. 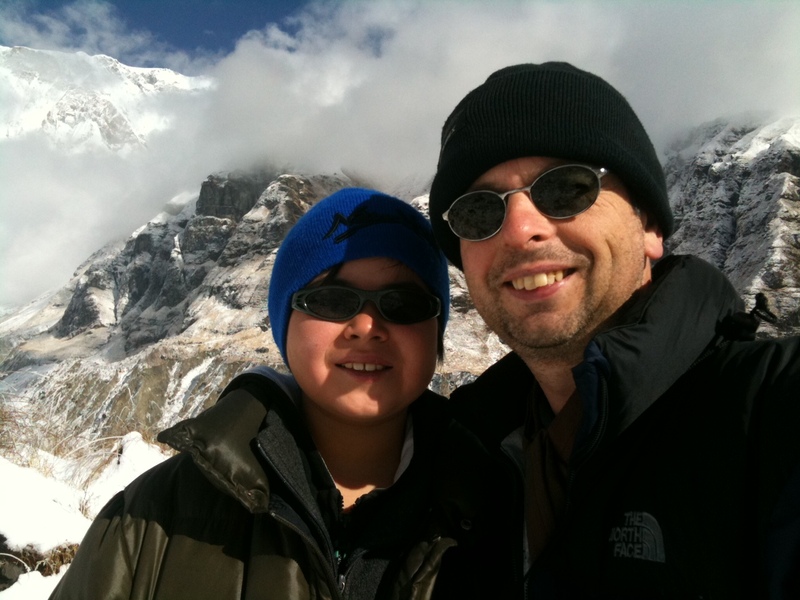 Julian and a Yeti with sunglasses. 41.30 – if days are that long no wonder there’s no time for November. 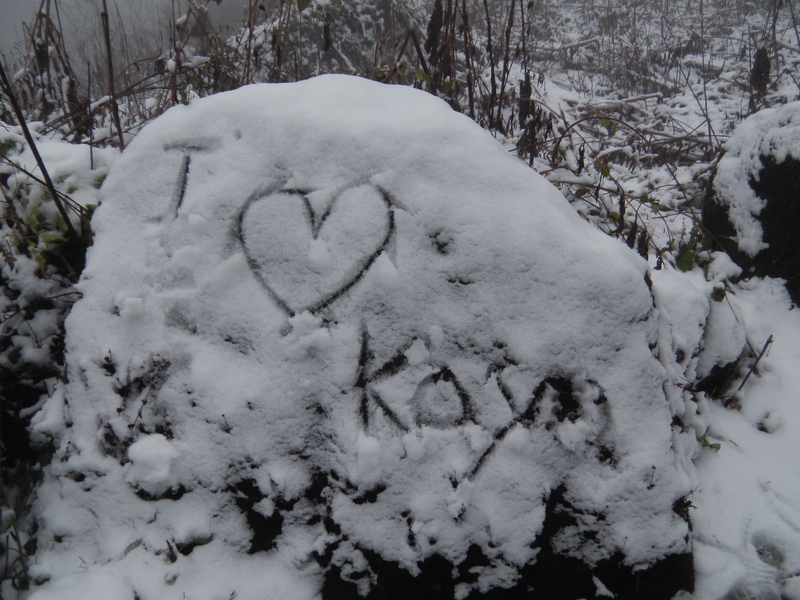 Is that Graffiti or is it Yeti prints?